What's that? 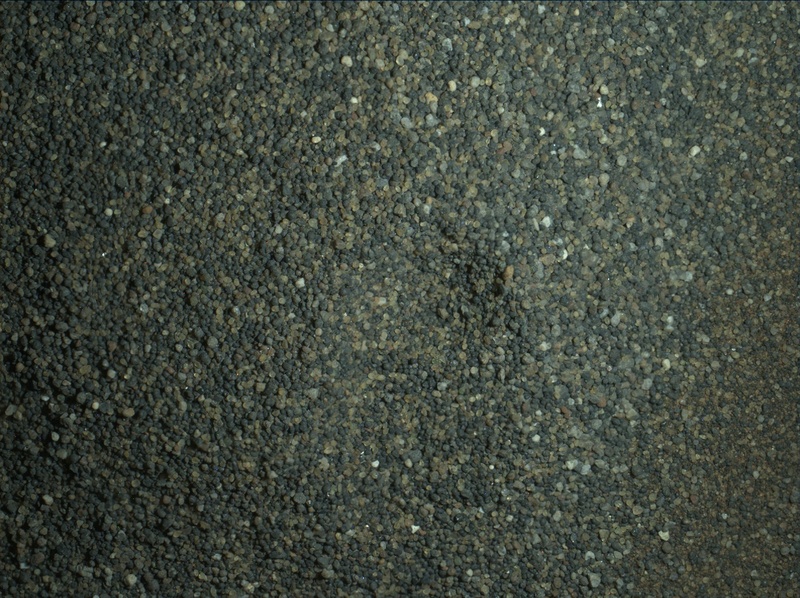 Why it's a close-up image of some Martian sand, from the dark dunes Curiosity is currently exploring. Staring at this raises all sorts of questions for me, mainly because that sand looks so very much like sand I might find here on Earth. Here, we understand a lot about how such sands form. All of the processes I know of involve water: the freezing ices of winter (expanding in cracks to break rocks up), the erosion of particles in flowing water, or the pounding waters of the sea (which break up rocks by pounding them). How did this sand happen on Mars? Is there some mechanism that involves only atmospheric gases that created them? Or is this good evidence of the presence of water?